Reading helps writing, and writing helps reading. 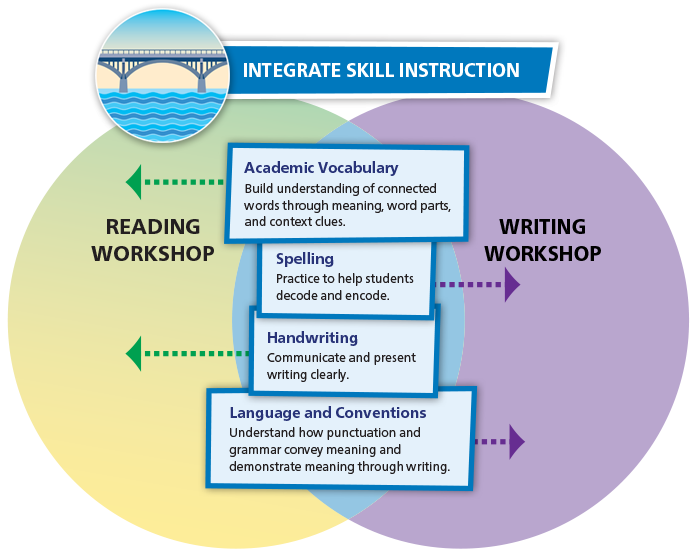 myView Literacy is the only K-5 ELA program that connects these reciprocal processes in a meaningful and explicit way. Every day the Reading-Writing Bridge connects the Reading and Writing Workshops. Students Read Like a Writer and Write for a Reader. Bridge instructional support is provided for rereading every text to analyze writer’s craft and structure. As students learn the craft of reading, they learn to consider the audience who will read their writing. 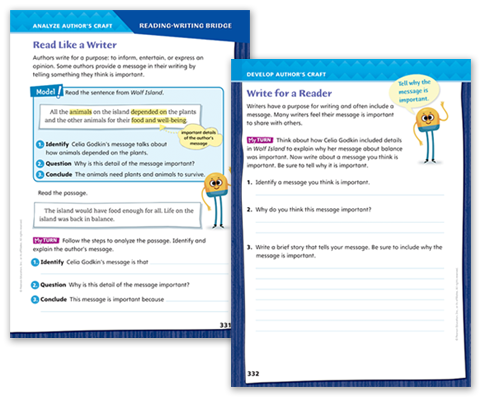 Ready to bridge the reading-writing gap? Daily instructional support helps students reread every text to analyze writer’s craft and structure. As students learn the craft of reading, they learn to write for varied purposes and audiences.